· Home insurance in the Philippines offers protection for your property. It is natural for any type of property to incur damage from normal wear and tear. But damages caused by fire or flooding are the ones that hurt most. These are incidents that can literally take away your homes and all your belongings in an instant. In such cases, a home insurance can cushion the blow by providing coverage for your losses. This means you get help with the funds to cover repairs and replacements you need to get your house in order. The good news is, you can easily find an insurance company in the Philippines with an insurance package that fit your needs. · Homeowners are able to enjoy increased sense of security if their properties are covered by insurance. Increased incidents of fire are usually observed during summer months while evacuation due to flooding seem to be a year round occurrence. Since the cost of home repairs for such incidents are quite high, fires and floods become a cause of worry for homeowners. Unfortunately, there is no way to ensure that one’s property is protected from these unexpected instances. 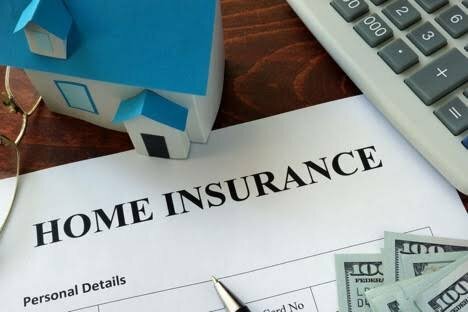 However, getting a home insurance coverage can help ensure that you will not be left empty handed in case of such losses. This gives you an increased sense of security for the future of your home and family after experiencing loss. Less stress and less worries are priceless benefits that you can get from a home insurance in the Philippines. Recovering from property loss due to fire, flood, or natural disasters takes a toll on both your finances and emotions. But such burden can be eased when you have ample home insurance coverage. There is comfort in knowing that you have funds to rebuild and start over again despite your losses. Plus, insurance benefits can also help in hastening your recovery from loss. Homeowners insurance in the Philippines comes in different packages. The most basic provides coverage for potential losses on the structure of your property caused by fire. But you can find insurance packages with a more comprehensive coverage to fit your needs. Malayan Insurance for instance provides coverage for damage caused by fire, earthquake, riot, and even a bursting pipe. They also have extension options that cover losses of valuable items, personal liability, alternative accommodation, etc. Given the necessity for home insurance protection, homeowners shouldn’t take insurance shopping for granted. One should exercise as much care in choosing insurance companies and packages as they would in buying a property. Always remember to choose a reliable and reputable insurance company and scrutinize the fine print before signing.